House of Commons motion – majority of 554 in favour of intervention in Libya. 10.15pm: The government has won by 557 votes to 13 – a majority of 544.
via Politics blog + Commons Libya debate – live | Politics | guardian.co.uk. Now that’s a majority and a half. Clearly it shows widespread support for the intervention in Libya… but we also have to note the real tone of the debate, and it was far from positive. Reading through a few of the comments, it shows that people are uneasy. With a British submarine, alone with American ships, launching missiles at 20 targets on the coast (Gaddafi‘s missile defence system, clearing the way for the pilots), we’ve become involved more than perhaps some MPs expected. The Arab League is also wavering in support, condemning the bombing of civilians – despite the fact that intervening in a near-civil war was always going to result in civilian casualties, especially as Gaddafi’s supporters were, he claimed, willing to be bussed in to key targets to act as human shields. The prospect of assassination of Gaddafi, hinted at by Secretary of State for Defence Liam Fox, is outrageous to many – frankly, I find that speaking openly of it is a foolish move. If you want to assassination someone, you don’t bloody tell Fleet Street. At least the Israeli’s have the common sense not to admit it if they do it. Having said that, assassinating Gaddafi is foolish in-and-of-itself. 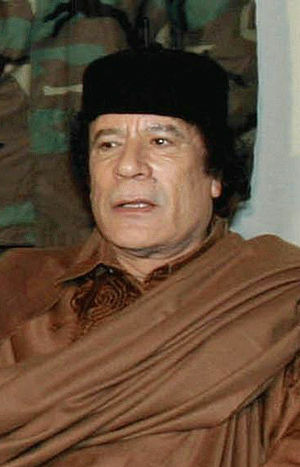 Martyrdom for Gaddafi is not an advantage to anyone – forcing him out may be our best option, but openly killing him. If he does chose to go down with the ship, so be it. Good riddance. But we can’t openly support it, or plan for it. Our legal mandate is to defend civilians, not assassinate politicians. Labour’s Katy Clark (North Ayrshire and Arran) and Yasmin Qureshi (Bolton South East) acted as tellers for the noes. Thanks for looking in on Currer, Morgan Griffith-David. Is that really your name or just your law firm of choice? Technically, it’s Morgan, Griffith-David and Co. LLP – but feel free to call me Morgan. It’s my pleasure, very interesting blog you have. Loved the bit about you feeling like Van Goch’s vase.